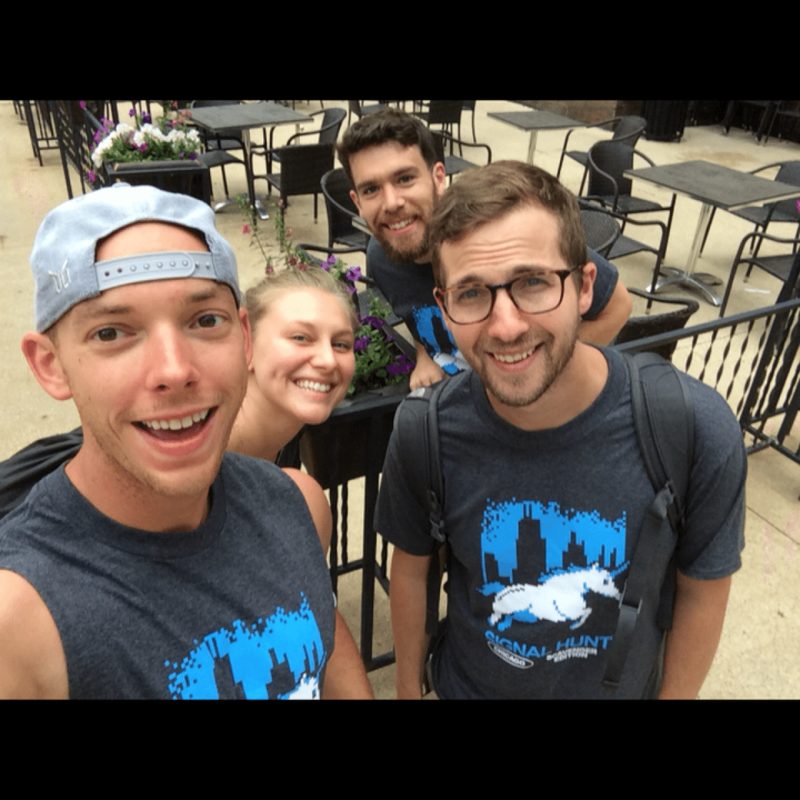 Recently, Signal’s Chicago office took the afternoon to participate in a scavenger hunt that encouraged collaboration between all departments to solve complex, employee-created riddles at iconic downtown locations such as Millennium Park and Queen’s Landing, all over the windy city of Chicago. 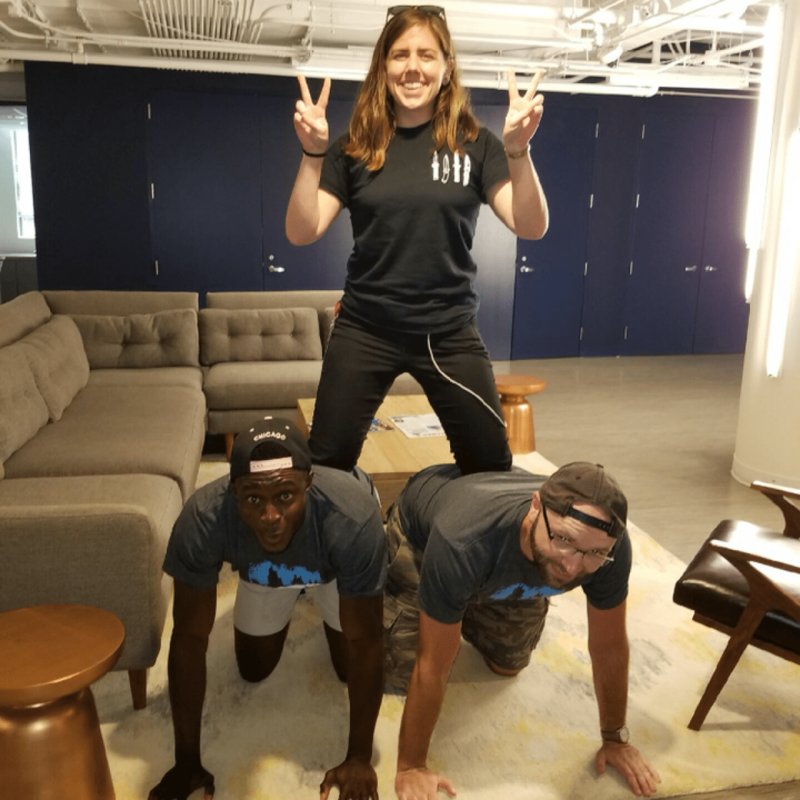 Participants showed up at the office with water bottles and running shoes, and hopes of achieving an ultimate end goal of completing as many clues in four hours as possible. This would give their team the most points, and a chance at winning a “Signal-Certified” first place prize of selfie sticks. The scavenger hunt included cryptic clues to solve topics ranging from rich Chicago history to inside jokes only Signalites would know. It also had participants stopping at many of the city’s unique monuments like The Bean, and at our own personal favorite hangout spots like The Pepper Canister. 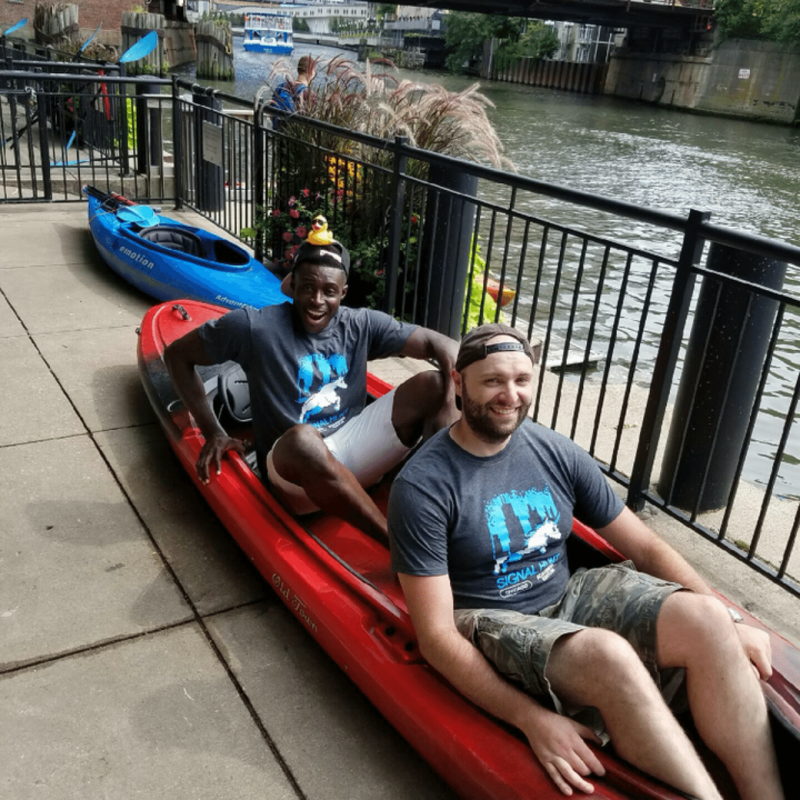 The hunt even gave teams the opportunity to enjoy local cuisine, like the famous Chicago hot dog, and relish the warm July sunshine. “Time in the sun is a precious commodity in Chicago. I’m glad people could make the most of the outdoor season!” said Tiago Moura, a Support Engineer at Signal. The hunt encouraged friendly competition among teams, and allowed participants to gain the full Chicago experience in a matter of hours. It also had people exercising more than they could have imagined as the clues were spread along a route lapping around the city. 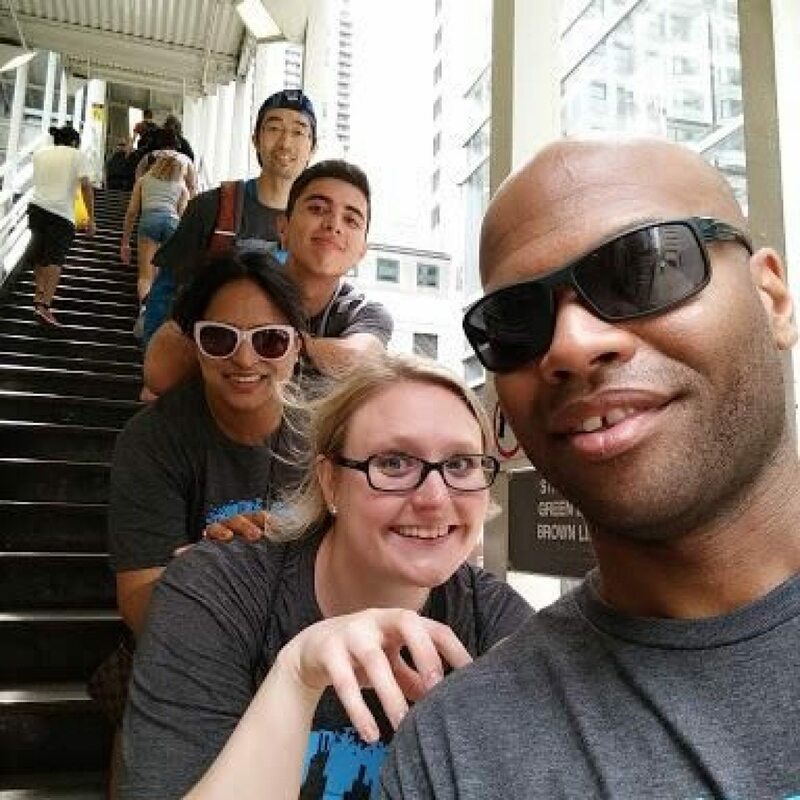 “We tried to be efficient with our route so we could visit as many landmarks as possible as quickly as possible, but we still ended up walking around 10 miles.” said Cliff Rhyne, a Software Engineer Manager. At the end of the day, teams reconvened at Jefferson Tap to find out how they ranked compared to other teams and for a happy hour celebration. There were many highlights throughout the hunt as participants got to explore places from the Chicago Cultural Center to Grant Park, many for the first time. They also had the opportunity to make new friends with fellow co-workers, and relax while having fun to wind down the productive week. It was however a competition, so some teams walked away as winners while others were not as lucky despite their athletic attire and overall best efforts. “It was blast to win. We thought other teams were solving faster than us or formulated a better route and so we were scrambling, trying to catch up,” said Rhyne, the winning team leader recalled of the day’s events. The Signal Hunt could not have been possible without the talented organizing team. Three employees, Tiago Moura, David Michaels and Ryan Balla can be thanked for taking on the responsibility of executing such a fun event. It wasn’t easy thinking of clues finding time to organize over the past few months, but they had a blast doing it. After it was all over and the points were tallied, participants agreed that the event should be a yearly occasion from now on. “It’s unscripted and gets people to have fun outside. It creates memories people won’t forget anytime soon!” Balla said.